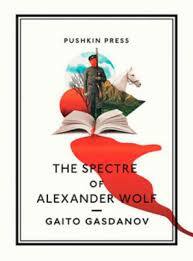 Gaito Gazdaonv’s The Spectre of Alexander Wolf may not be a neglected classic but it is certainly a neglected delight. Gazdanov is a Russian writer who fled his homeland in 1920 and eventually settled in Paris. Originally published in 1947-48, it appeared in English shortly after but has now been released in a new translation by Bryan Karetnyk thanks to Pushkin Press. So begins the narrator’s determination to track down Alexander Wolf (for he is the story’s author), even when his publisher claims he has no address for him and has not seen him in a year (and tells him that the man is, in fact, English). As is the way with such novels, it is a chance encounter with a compatriot, Vozenesensky, in a pub that leads the narrator to discover more about Wolf. Vozenesensky fought with Wolf and we hear from him the aftermath of Wolf’s encounter with the narrator: “the doctor announced that Sasha had only a few hours to live.” The repeated suggestion that Wolf should not have survived creates the eerie feeling he may be a spectre after all. The middle section is taken up the progress of their relationship and, for a while, it might seem as if Gazdanov is now writing a different novel. However, do not fear, all returns to Wolf and this detour is more significant than it first appears. The Spectre of Alexander Wolf has the feel of a thriller, although on reflection very little happens and much of it is made up of long conversations. Perhaps it’s simply that the tension created in those opening pages never dissipates. Whatever the reason, I found it an entrancing read and can now look forward to two further Gazdanov novels from Pushkin next year. Andrei Makine, a Russian émigré who famously had to pretend his first novel had been translated into French from the Russian in order for it to be published, has been producing beautifully crafted novel after novel at the rate of almost one a year since. Now, after a slightly longer gap that has seen him change publisher (from Sceptre to MacLehose) but not translator (Geoffrey Strachan), comes his twelfth: Brief Loves That Live Forever. 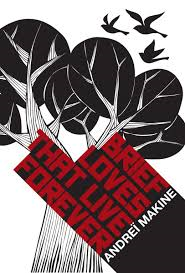 Makine emphasises the brevity of the loves by creating the novel from a series of stand-alone stories tracing the loves of its narrator, and also the history of the Soviet Union from Brezhnev to the fall of the Berlin Wall (but with references further back to the Civil War and Lenin). We also learn of a vast orchard – “a triumph of collectivist agriculture” – where no bees can reach the centre and so the trees bear no fruit: a wonderful metaphor for the Soviet state. Short sentences and repetition are the key factors. Repetition that involves never referring to the main character as ‘he’ but always as ‘Bill Shankly’; repetition that means whenever ‘at home’ appears ‘at Anfield immediately follows. The text is also filled with more information (crowd attendances, teams, scores) than a football almanac. Match after match is detailed, in a style similar to the above, often with little or nothing in between. And yet I found it riveting. Bill Shankly was the manager who changed Liverpool from Second Division mediocrities into First Division champions, won them their first F.A. Cup, and also their first European trophy. Peace’s achievement is to turn this into a piece of fiction that brilliantly conveys the relentless nature of the game in a way that I’m sure today’s manager would immediately recognise. And it’s the novel’s style which does this. Including every detail of every match demonstrates how difficult it is to win. Even though we are aware that there is a Hollywood story arc from failure to success, it does not feel the same when we are immersed in the minutiae of the matches. Even after winning the League, Shankly must immediately prepare for winning it again. 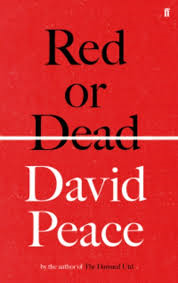 Red or Dead will be compared to Peace’s other football novel, The Damned Utd. That however was a quite different book with its focus on a much shorter time period and a more complex and conflicted character in Brain Clough. Shankly is quieter, unassuming, repeating again and again that everything he does is for Liverpool Football Club and its fans. There are numerous stories of his kindness to fans, and time and again he uses the supporters to motivate the players. The length of Red or Dead, which some might see as indulgent, is also important. Without it, it would be difficult to understand Shankly’s decision to retire when at the pinnacle of his success. It also demonstrates why he finds it impossible to leave the game behind. The relentless flow of football is only broken by a lengthy (verbatim, I think) conversation between Shankly and Harold Wilson after Shankly retired and hosted a radio show. This is clearly important to Peace’s aims with the novel as he features both characters again in a railway carriage in the final scene. Unfortunately I found its comparisons between football and politics banal and, though both men talk as socialists, neither has anything profound to say on the topic. (And while it’s always nice for Robert Burns to get a mention, this too seemed as little glib). Perhaps Peace’s intention is simply to hark back to a different Britain, as the novel’s final line (“All change here! All change, please!”) seems to suggest. What is certainly the case is that Peace, author of the greatest English novel about football, has provided himself with some competition. 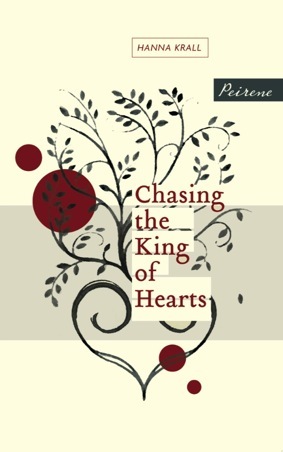 Luckily I tend to buy Pereine’s tri-annual volumes without considering the author (who I am unlikely to have heard of) or the subject matter: no other publisher seems to have such an uncanny knack of unearthing previously untranslated literary gems. I say ‘luckily’ because such ignorance prevented me coming to Hanna Krall’s story of the Holocaust with any expectations. So many books, fiction and non-fiction, have been published on the subject of the Holocaust that, each time a new one appears, there is an increasing danger that we will assume that there is nothing new to be said, no revelatory way left of looking – and without that ability to make us see the known in a way that makes it unknown again, literature is not fulfilling its function. When Izolda is arrested again later she is relieved that it is because she has been mistaken for a prostitute rather than as a Jew. Izolda’s survival is never in doubt as Krall includes post-war scenes in Israel throughout the narrative where her out-of-placeness (she doesn’t speak Hebrew) seems another indictment of the war’s injustice. The novel is split into many short (one to two page) chapters echoing the moment to moment nature of survival. It works in two ways: Izaldo’s love offering some form of redemption for the surrounding horror (whether her husband is ‘worth it’ or not is irrelevant) while at the same time highlighting it. Her striving for life is a tiny light in a landscape of death. You are currently browsing the 1streading's Blog blog archives for October, 2013.